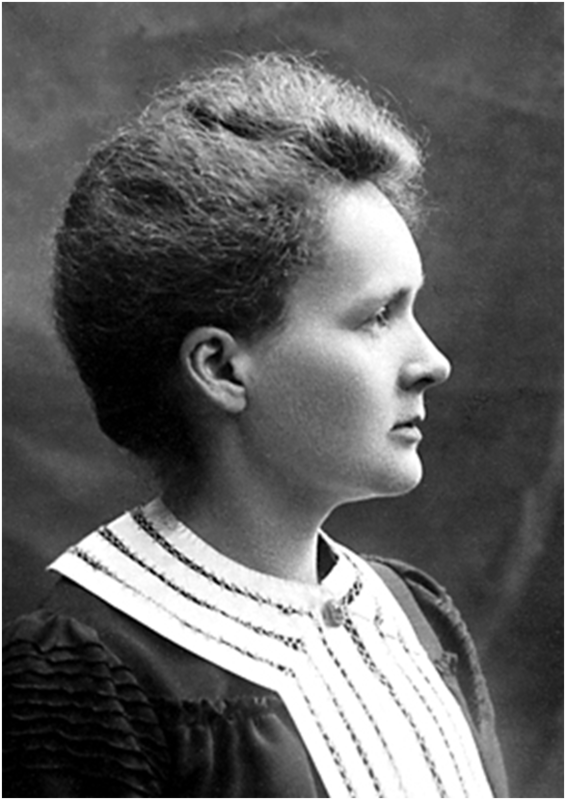 Science, a vast field of knowledge so important in the modern world, has traditionally been perceived as ‘masculine’, and women have generally been excluded or pushed to the periphery. Modern studies have explored the reasons for this and have found many examples of women who managed to break through the barriers. The following is a brief survey of some of the British women in the last two centuries who have taken advantage of familial and supporting networks and new educational opportunities to pursue scientific work. 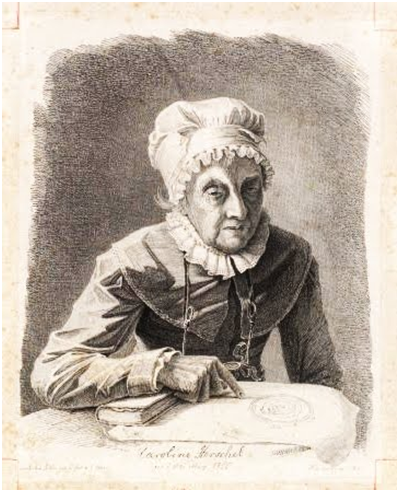 In the eighteenth century, Caroline Herschel became the indispensable, highly efficient assistant in astronomy of her beloved brother William, famous both for his telescopes and for discovering new bodies in space. Herschel’s mathematical work on their observations and patient, accurate recordings of thousands of nebulae underpinned William’s fame, but she also discovered eight comets and several nebulae and star clusters of her own. Herschel served her brother and later her equally famous nephew John Herschel in their scientific work but, although honoured for her achievements, never shone in the scientific arena as they did. In the early nineteenth century, Jane Marcet, whose Conversations on Chemistry and other scientific books educated generations of both sexes in Britain, the USA and beyond, built up her expertise through having an unusually advanced education for a girl and marrying a doctor, who had a keen interest in chemistry and scientific development and was strongly supportive of her work. Living in central London, they constantly entertained the leading English and Scottish thinkers of the day, who in turn related to Marcet their latest discoveries, so that she could regularly update her works. 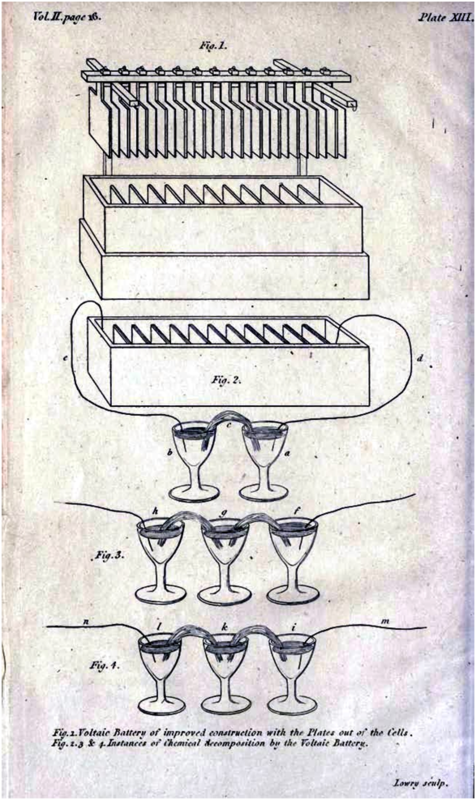 Marcet transformed the use of dialogue as an educational device by choosing as the teacher of a scientific subject a woman, who, through conversations and experiments (which Marcet illustrated herself), directed the active learning at home of two teenage girls in the new ‘beautiful science’ of chemistry. While Marcet flourished through ostensibly writing for young people, Mary Somerville, a friend of hers, became internationally renowned for her brilliant syntheses and elaborations of the latest knowledge in science and mathematics written for adults. Despite being born into the Scottish upper middle class, Somerville was largely self-educated, but built up networks firstly in the brilliant world of late eighteenth century Edinburgh and then, after her second marriage to the supportive explorer and science enthusiast, Dr William Somerville, in London. Like Marcet, Mary Somerville moved in liberal and radical circles and became friends with leading scientific and literary figures, extending such contacts to the continent. In 1826, she became the first woman to present research findings to the Royal Society, although she had to do this through her husband because females were not admitted. Subsequently, she was honoured for a brilliant translation, synthesis and extension of Pierre Simon de La Place’s exceedingly difficult mathematical treatise, Mécanique Celeste, and for two pioneering and very highly acclaimed books on other aspects of science – On the Connexion of the Physical Sciences and Physical Geography. Scientists eager to have their ideas disseminated by so eminent a writer wrote to her of their latest discoveries, enabling her constantly to write and update her major works. She too, however, was excluded from the very scientific venues that lavished praise on her. These women remained on the margins of science, yet, thanks to their liberal and scientific networks and helpful locations, were able to play a crucial role in science, albeit shut out from the places where most scientific debate and advance occurred. “A scientific woman” By the early twentieth century, science was expanding, becoming more professional and gaining greater prestige; women were securing entrance into the growing educational system at all levels and wresting a wider range of employment, even in science. (Since then, twelve Nobel Prizes in science have been won by women, eight of them in medicine. Yet this remains a very small number compared to its male equivalent.) The term ‘scientific woman’ remained a misnomer in the eyes of many. Laboratories were portrayed as ‘masculine’ spaces, just as the ‘hard sciences’, especially physics, were assumed to be ‘masculine’ subjects. The new opportunities open to women abounded with obstacles as, for instance, the careers of the inventor and electrical engineer Hertha Ayrton and the mathematician Grace Chisolm demonstrated. Both were nineteenth-century students at Girton College, Cambridge; both married men in their own disciplines and made a mark in their respective sciences; yet they never received the full recognition they deserved. Four of the most successful female achievers in the physical sciences in the inter-war years – Kathleen Lonsdale, Marjorie Stephenson, Dorothy Needham and Dorothy Hodgkin – came from families who believed in the best education possible for their daughters. Two won scholarships; three attended high schools for girls. All went to women’s colleges, two to Cambridge, one to Oxford and one to London. Interestingly, three of them married fellow scientist – a factor that could either help or impede their careers. Two were Quakers (Rosalind Franklin, a younger scientist, was a Jew, as have been four of the female Nobel Prize winners in science to date). Between them, they opened up new frontiers in crystallography, bacterial chemistry and muscle biochemistry. Yet, for a long time, two of them subsisted only on successive research grants; while Hodgkin, eventually a Nobel Prize winner, was never given a professorship by her employer of many years, the University of Oxford. All were helped in their careers by sympathetic male scientists who were no doubt pleased to have able women as assistants in new disciplines when career-oriented male scientists might well have been attracted to more established, prestigious fields. As other studies of women in science in this period have shown, women’s opportunities in science in the first half of the twentieth century remained greatly impeded not only by contemporary gendered theories and assumptions; they were also determined by factors like geographical location and social class, the educational structure, the networks these ‘women in science’ moved in and built, and  as with all pioneers – the way they sometimes managed to utilise their marginality to their own advantage.